Inner ear swelling can be a painful problem to deal with. 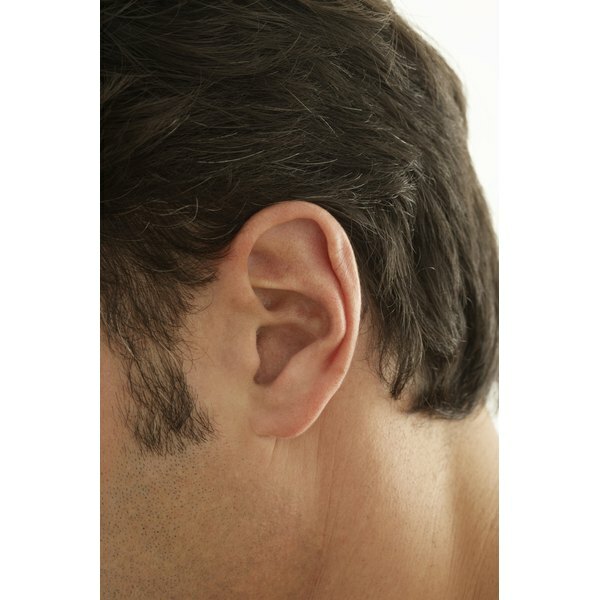 A swollen inner ear can be caused by a number of things including infection or sinus flare ups. Thankfully, there are a few simple remedies that may help treat the swelling and pain of a swollen inner ear. A warm compress is the simplest treatment for most kinds of swelling, and it works effectively for inner ear swelling too. Apply a warm washcloth or heating pad set on medium to the affected ear every few hours. This will help soothe pain, lessen swelling and possibly loosen up any blockage caught in the ear that may be causing swelling. Taking an anti-inflammatory painkiller will also help relieve aching ears. Try taking a painkiller with ibuprofen, which will help reduce swelling and ease pain. Take as directed and don’t ever exceed recommended dosage. Use the warm compress after taking medication to further decrease symptoms. Try an all natural remedy to alleviate symptoms. One popular one is to use a few drops of garlic juice in the ear. You can buy garlic juice at most grocery stores. You can also try dropping in a few drops of white vinegar to help clear up infection and swelling. Basil juice can also help and can be found at most health food stores. A few drops of warm olive oil may help as well. Don’t use all of the treatments at once, if one doesn’t work for you, simply move on to the next. See your doctor. If you have inner ear swelling that persists for more than four or five days, or you have re-occurring inner ear swelling, you should see your doctor. It may be a sign of a bad infection or underlying health problem.